Did you pick up a new 2016 MacBook Pro? The new design is much thinner and more compact compared to the previous generation, which makes using a sleeve for protection a solid choice for short trips. 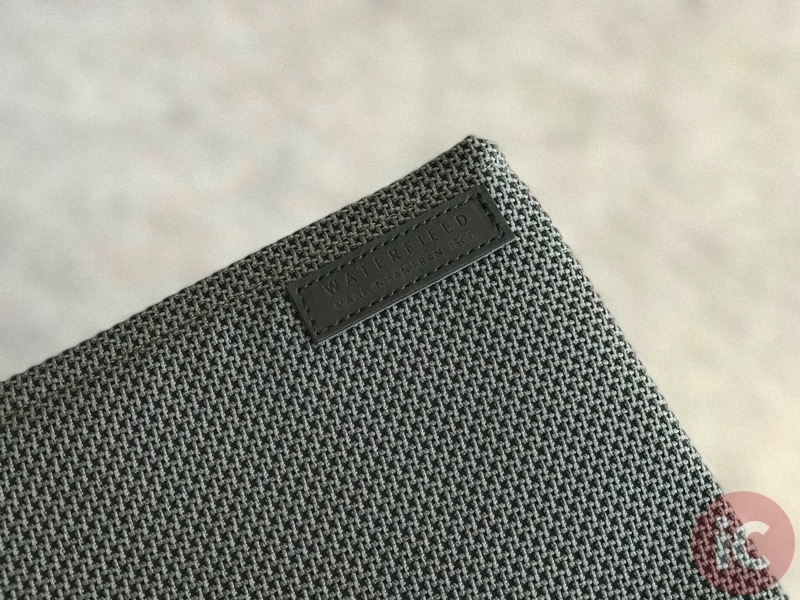 WaterField Designs announced their updated Maxwell Sleeve for Apple’s latest MacBooks back in October and they recently sent us one to check out, for our 13-inch model with Touch Bar. Here are our quick thoughts on this well-built sleeve. 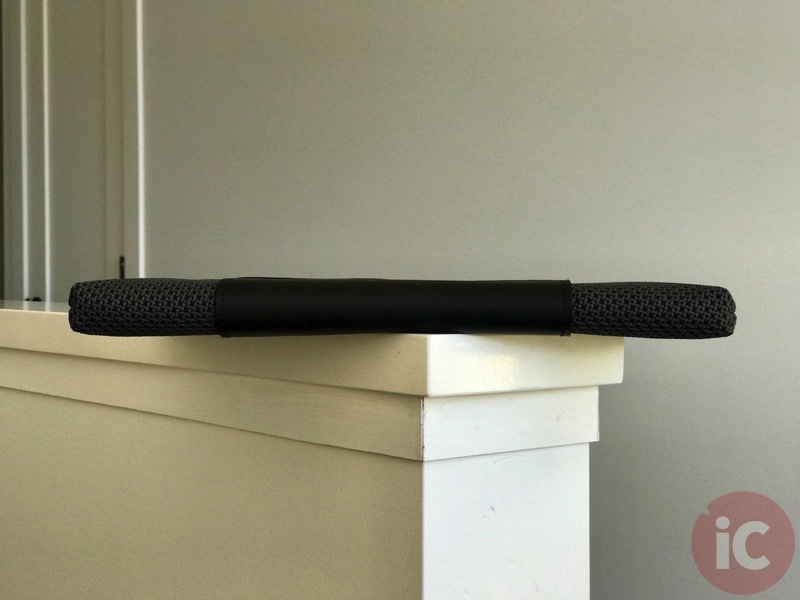 The Maxwell Sleeve is light coming in at 408 grams (0.9 pounds) and measures 13-inches (33cm) by 9.75 inches (25cm). Our bag came in the colour Slate, made with water-repellent material coated with Nano-tex technology (a stain-resistant fabric). Other options include a waxed canvas or ballistic nylon, in either a vertical or horizontal orientation (ours), in various colours. 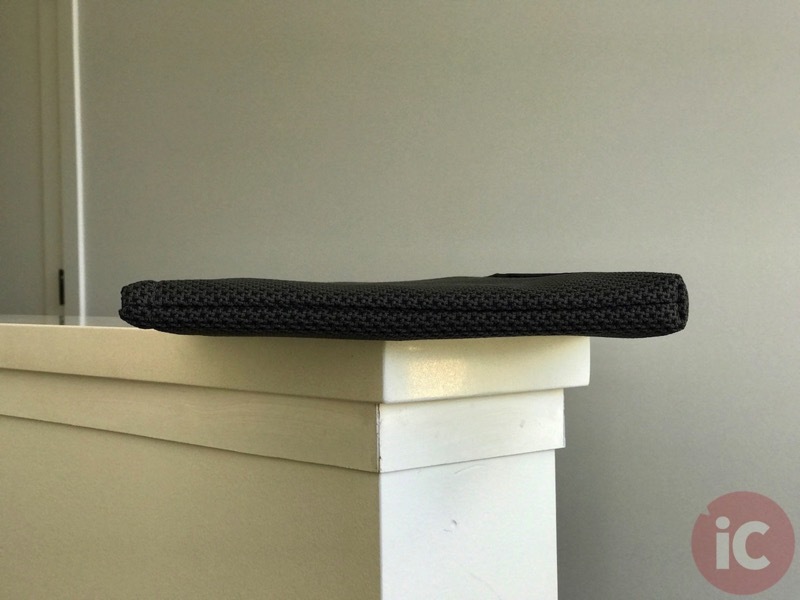 What makes the Maxwell Sleeve neat is the integration of a magnetic closure, plus an additional full-grain leather accent along the bottom, where you would naturally have your hands to hold your computer, as it adds extra grip. There’s a small leather patch in the top corner which shows ‘Waterfield made in San Francisco’, but for the most part it’s not too flashy. As for the magnetic closure it’s quite secure and held upside down, our MacBook Pro did not fall out. Only until we started shaking and jerking the sleeve did it give way to the weight of our MacBook Pro. But for the most part, the magnets are secure enough for us not to worry about it opening on its own. 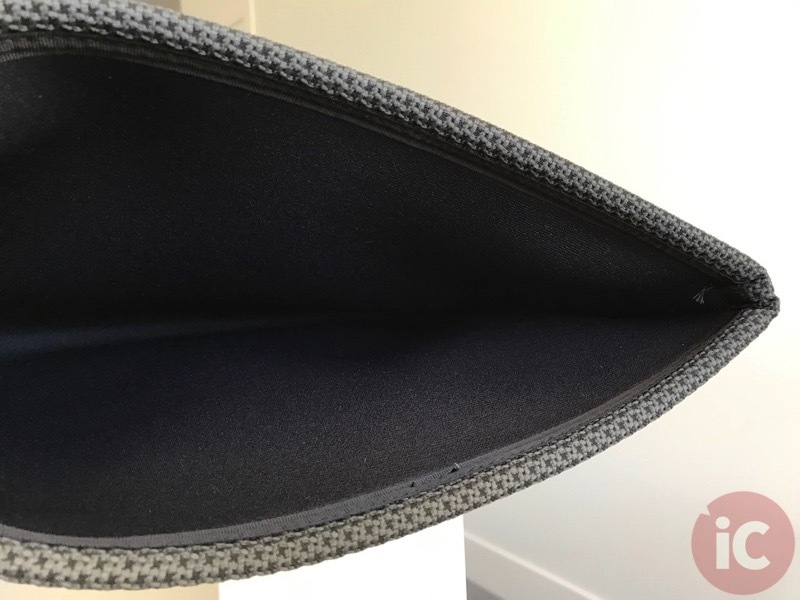 Benefits of a magnetic enclosure over a zipper is the latter may potentially scratch your computer, depending on the design. 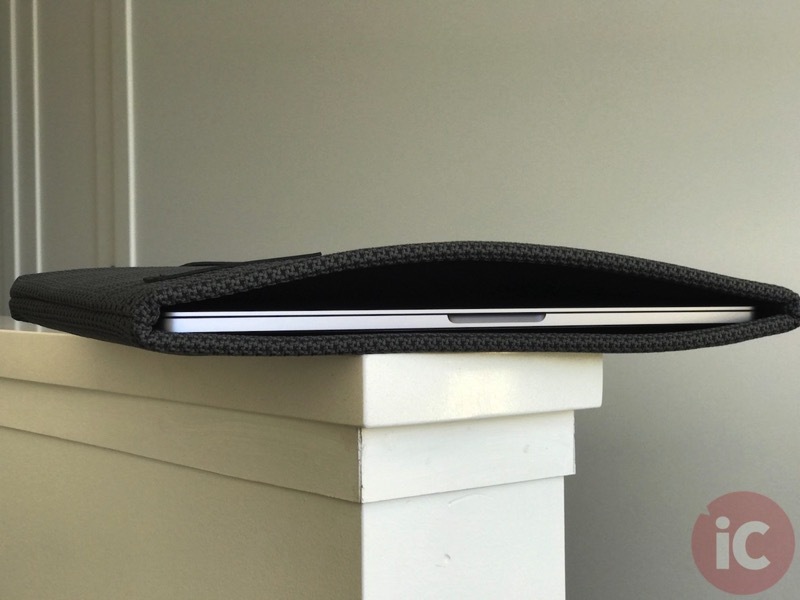 The interior of the Maxwell Sleeve is a soft neoprene material that keeps your MacBook Pro safe and snug. For our 13-inch model, the sleeve fit nicely, not too snug that we had trouble removing or inserting the computer. 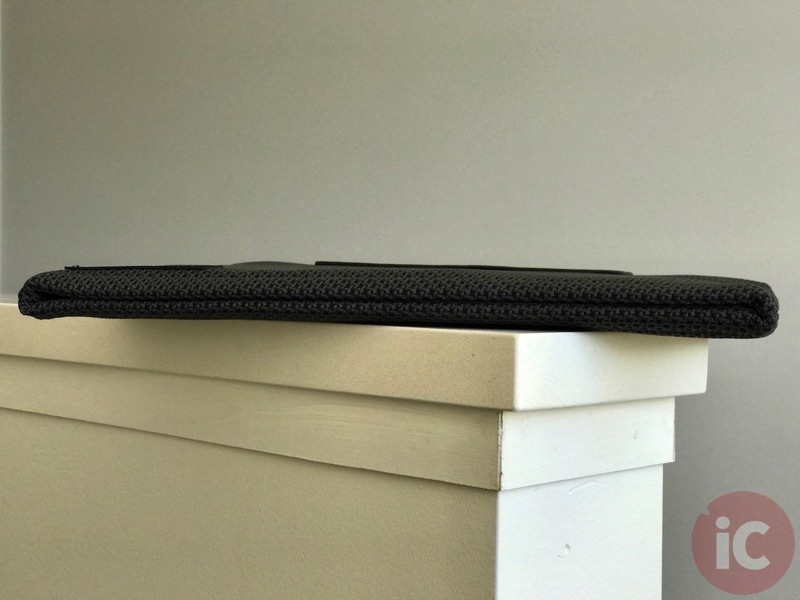 Will the Maxwell Sleeve protect your MacBook Pro from a drop or fall? I feel confident it would from table top height, to protect from exterior scratches and dents, but as a minimalist sleeve it’s obviously not as secure as a heavy duty computer bag. 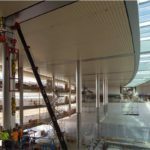 There’s an optional add-on of suspension straps, if you want to take the Maxwell Sleeve on your shoulder, while WaterField Designs says the sleeve is also TSA checkpoint-friendly, meaning you don’t need to take your laptop out of the sleeve. We’re big fans of WaterField Designs gear, as its well-made with quality materials in the USA. We still have our CitySlicker for our 13-inch MacBook Air and it’s held up very well after four years of use, showing no signs of slowing down. The 2016 13-inch MacBook Pro also fits inside that bag too. The Maxwell Sleeve ranges from $99-$119 USD (shipping options are FedEx and FIMS), so it’s not exactly a budget sleeve. 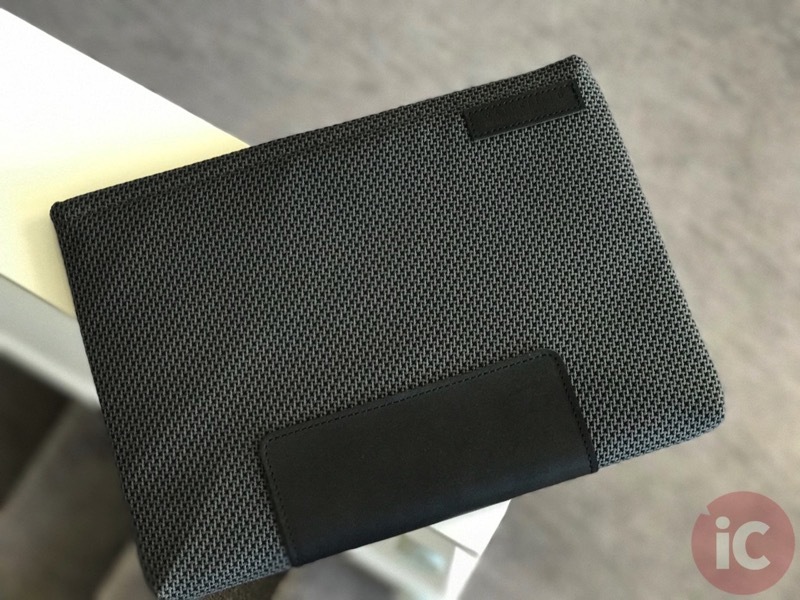 But if you’re looking for a quality made and stylish sleeve that will last, the Maxwell surely will do the job for your precious 2016 MacBook Pro, for jetting in and out of Starbucks.